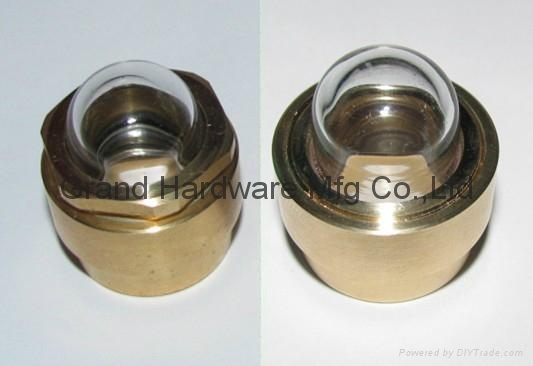 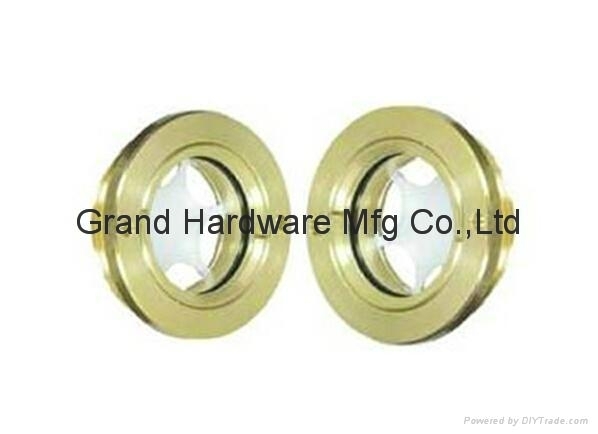 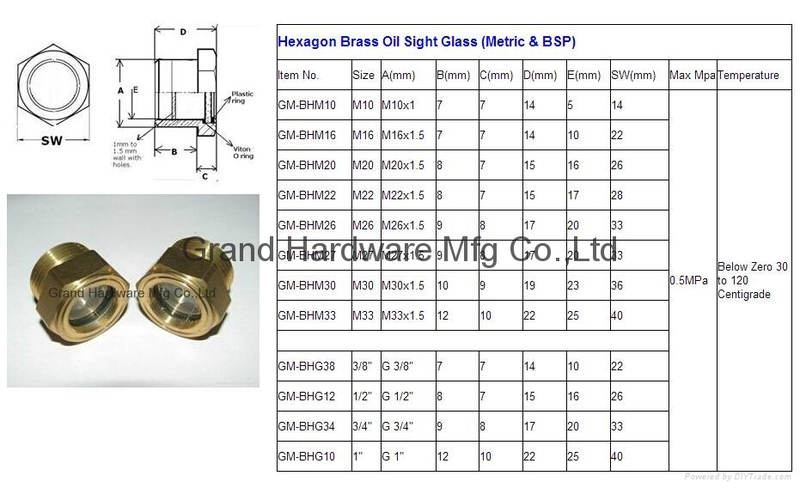 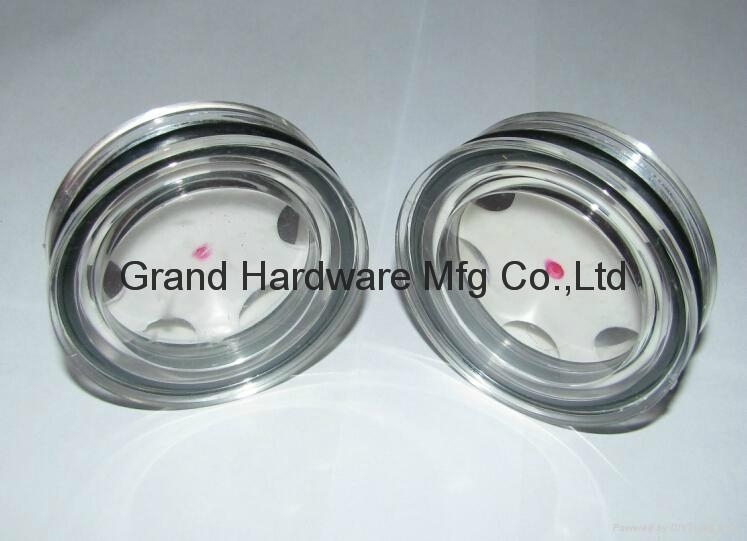 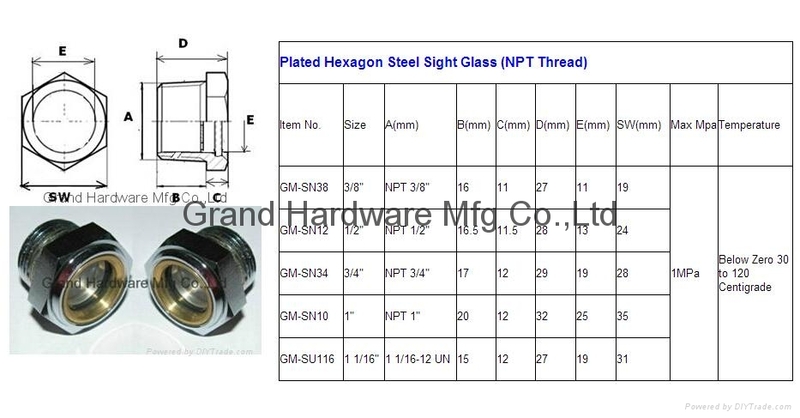 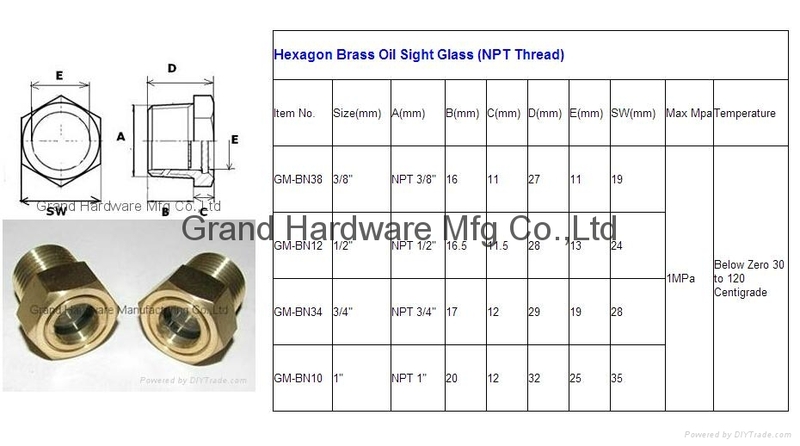 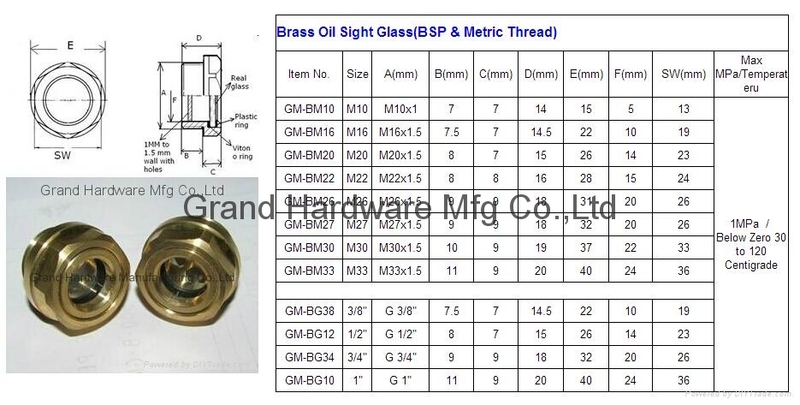 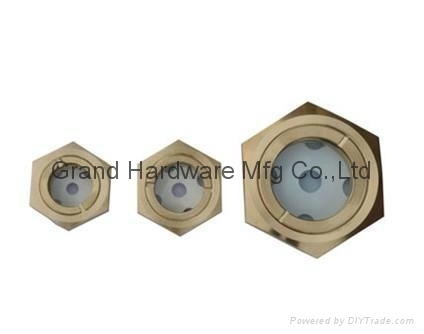 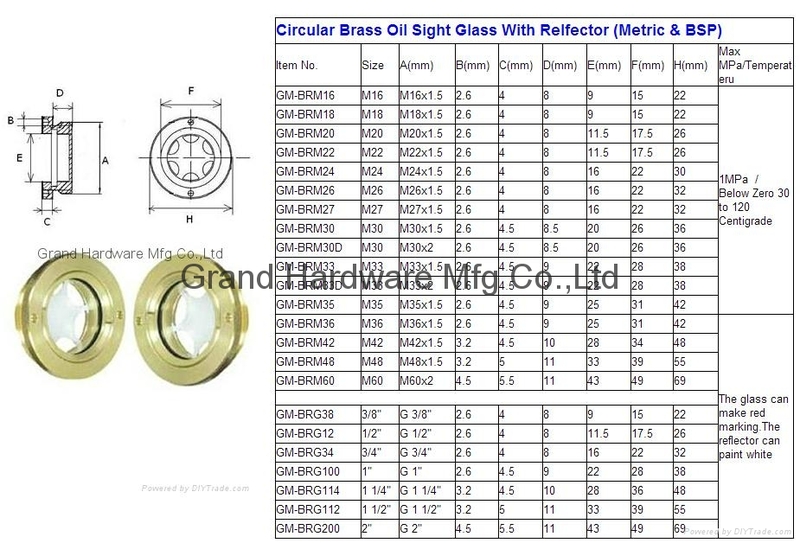 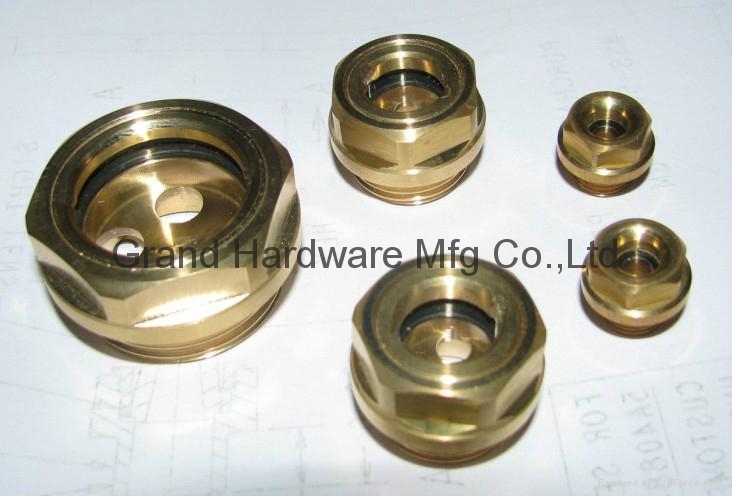 Oil Sight glass, sight gauge, sight gage, oil level indicator, liquid sight glass, sight window, view ports, male thread sight glass Body material: aluminum, brass and steel Glass: Real glass 2 mm to 5 mm thickness. 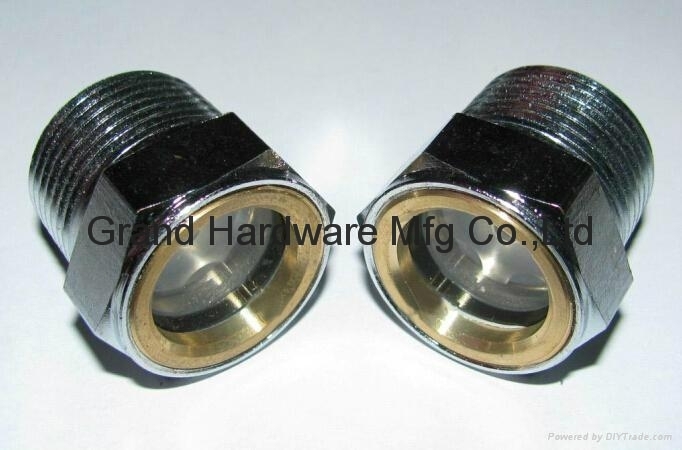 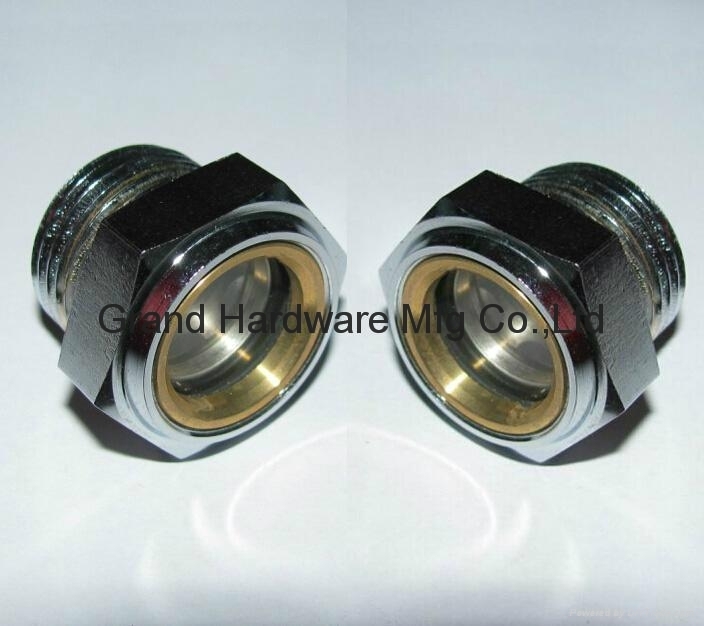 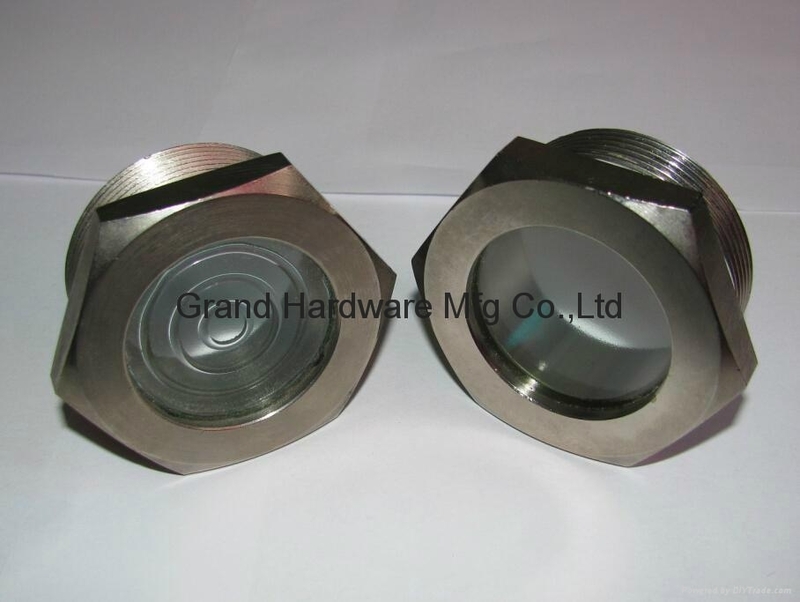 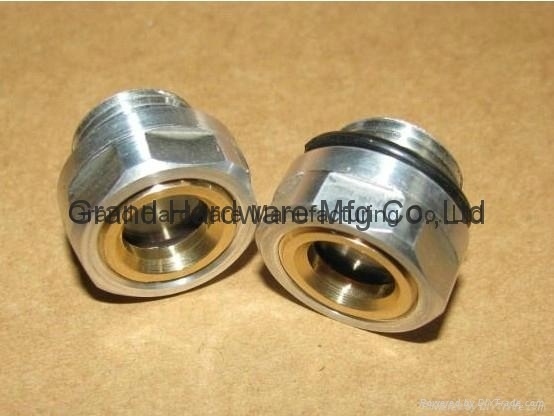 O Ring: Viton O rings Size: M10 to M42, 1/2 inch to 2 inch Thread Type: Meter thread, BSP, NPT Operate Temperature: -20 cent degree to 120 cent degree Operate Pressure: 125 PSIG MOQ: 2000 Pcs each size Delivery time: 20 days. 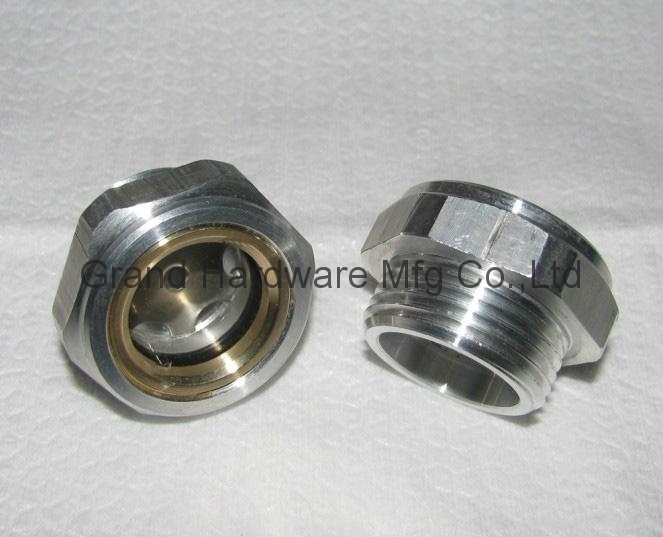 Payment: T/T Usage: Pump Gearboxes, Speed Reducer, Compressor and Power Transmission. 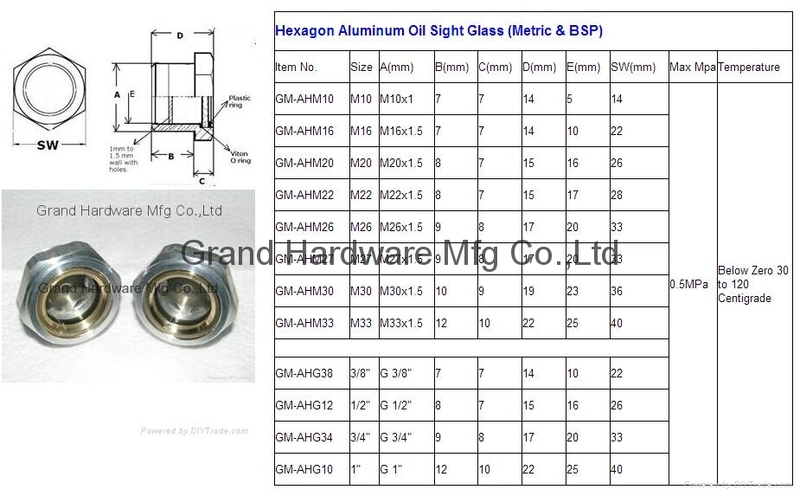 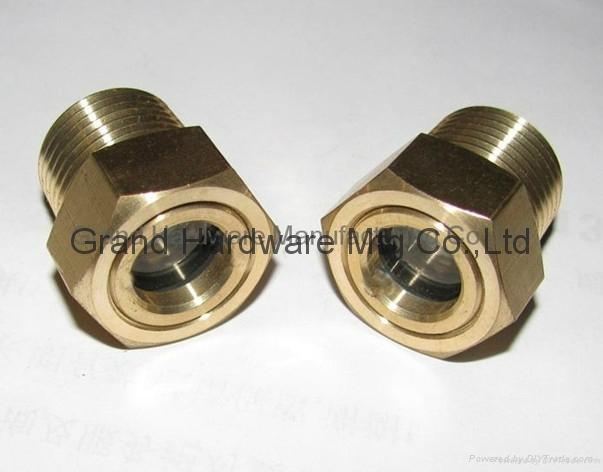 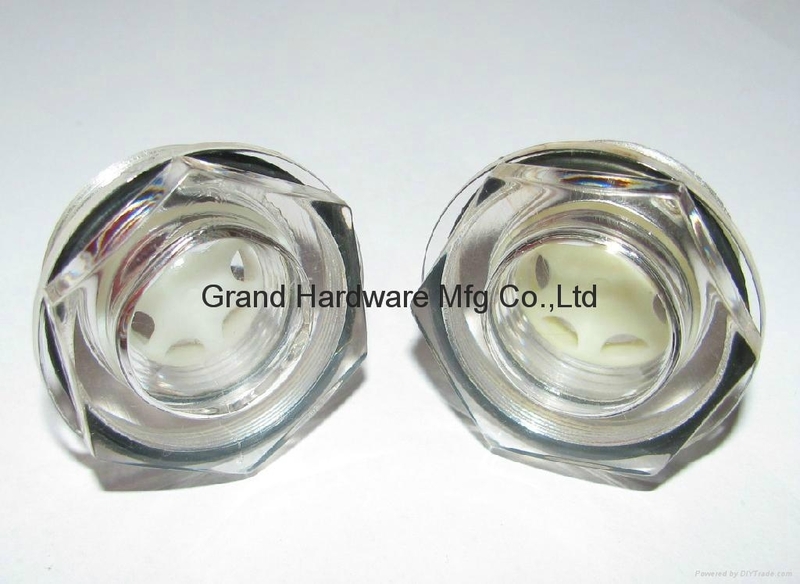 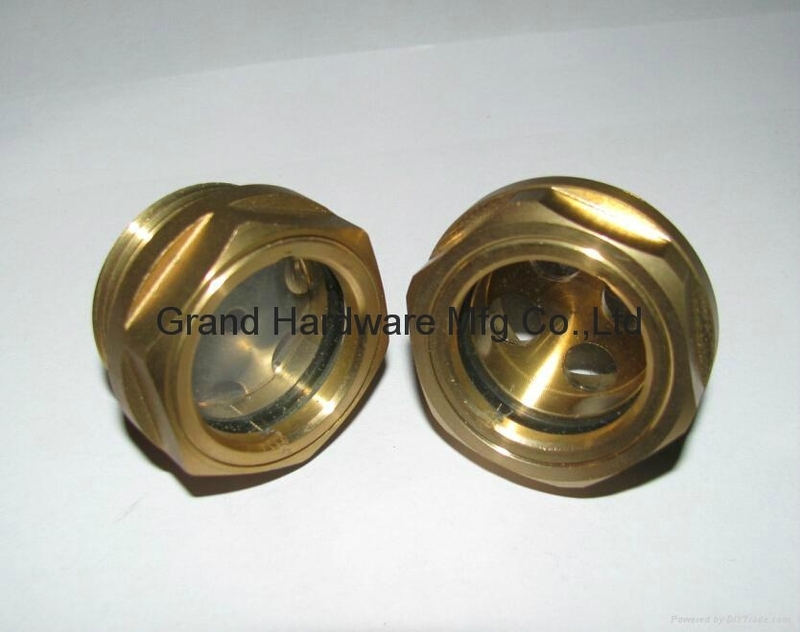 Different company have different requirements, OEM Service is welcome.